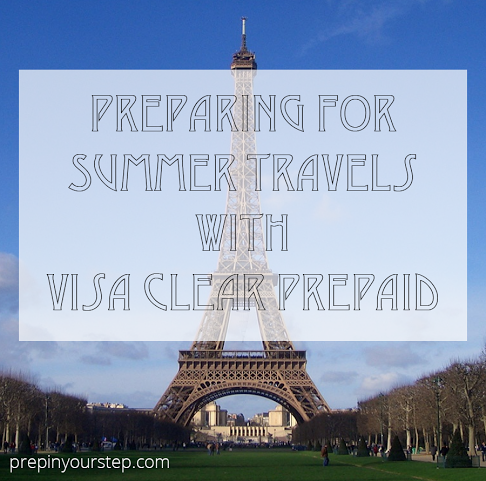 Planning and packing for a trip is no easy feat but fortunately I have partnered with Kaiku and Visa Clear Prepaid to help make that planning as easy as possible. I figured this out the hard way as I finished up the school year and had just six days to prepare for a three-week trip out of the country. I was so focused on what to pack and ensuring that I had plenty of room in my suitcase to bring back presents and prizes that some of the smaller details that come with traveling were almost overlooked. Whether you are gathering your passport, setting up an international phone plan, exchanging currency at the bank, or notifying your credit card company of your travels these little details can take up a decent bit of time. I am definitely a planner. I knew about the trip I was on months in advance and was on the edge of my seat waiting for the itinerary. While all of my preparation tasks were completed on time there were lots of decisions to be made in six short days regarding three weeks out of the country. 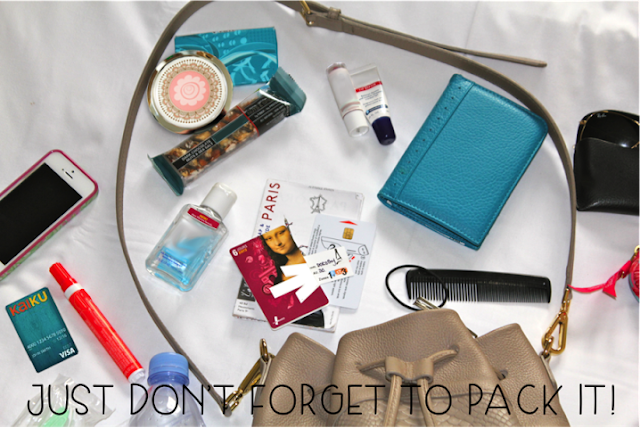 One of the most important included how to pay for items abroad and manage expenses. Fortunately, using the Kaiku® Visa® Prepaid Card-part of the Visa Clear Prepaid program - to budget and pay for your summer outing makes it easy to manage your money, so the only thing you have to think about while you're out is having fun (and let's face it there is lots of fun to be had in Paris and London). Since many credit cards have transaction fees associated with them in foreign countries I made sure to get plenty of Euros and Pounds ahead of time and load my Kaiku® Visa® Prepaid Card as another means of payment to bring along. I brought my credit and debit card and was sure to keep them in an RFID case but one of the most comforting parts of having my Kaiku® Visa® Prepaid Card was that if my card was lost or stolen while I was out having fun I didn't have to worry because my funds were protected by Visa's Zero Liability Policy. In case you didn't know, Visa's Zero Liability Policy covers U.S.-issued cards and does not apply to certain commercial card transactions, or any transactions not processed by Visa. You must notify your financial institution immediately of any unauthorized use. For specific restrictions, limitations and other details, please consult your issuer. 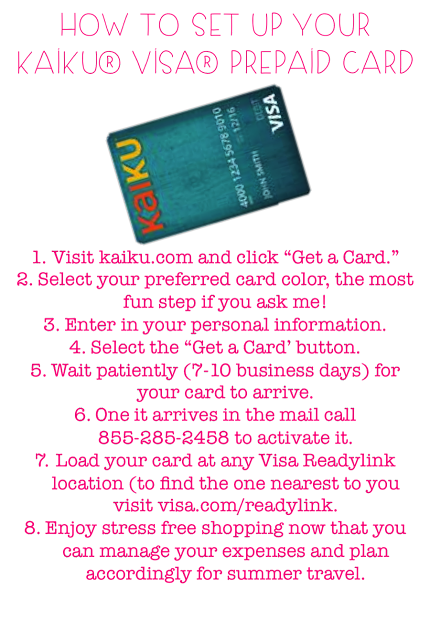 Setting up the card was not difficult at all and I loved that with the Kaiku® Visa® Prepaid Card I could select cards design and that once it came in the mail I was able to take my card to load it for my trip. I found using this card to be especially helpful when I wanted to purchase larger items and with a one-time activation fee I didn't need to fret about my card racking up strange international fees. Getting ready for my trip, I loved that my card allowed me to withdraw money without a fee at any AllPoint ATM or take out cash with purchases at grocery and convenience stores to ensure that I had enough money to spot my part of the bill. (Before you travel, make sure to research any international fees tied to your prepaid card so you’re prepared.) Another great thing is that you can download the Kaiku® mobile app and take a photograph of a check to deposit money onto your card! If you are planning any sort of trip this summer or even want to discover an easier way to budget the Kaiku® Visa® Prepaid Card made traveling and paying abroad easy. This would be an awesome option for anyone planning to study abroad for a semester as well since you would have access to an easy-to-understand method of budgeting your monthly expenses. This is a sponsored post written by me on behalf of the Visa Clear Prepaid program and the Kaiku® Visa® Prepaid Card. Thank you for supporting companies that help to make Prep In Your Step possible. Nice blog and your pieces of advice are always very helpful. Everybody likes travelling and me too. I'm also a planner and think about my travelling, hotel, places to visit, restaurants in advance. And my boyfriend thinks that it's absurdly to plan your vacation in advance. For this reason I decided to write me essay Essay Penguins and to show that it's better to plan everything than pack your bags, book a hotel at the last minute. We'd adore in order to thanks for that initiatives you obtain produced these details. I am hoping a similar greatest execute via an individual later on concurrently. Nowadays at this time simply click in addition to follow-up Cash Advance Carson Many thanks for that great publish.